When designing a template you often need to explore a query’s context and all its available attributes. You might need that in order to add another attribute to the output or to work with sibling queries. 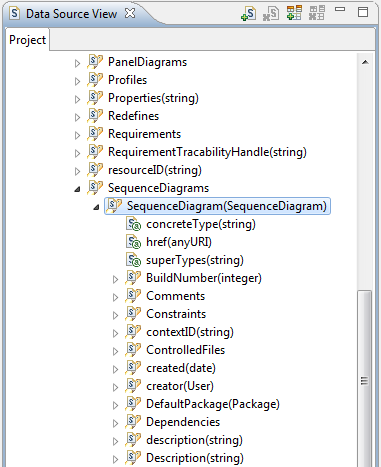 Prior to RPE 2.0 your only option is to manually expand one node of the schema at a time until you reached your query. With RPE 2.0.1 you have a far simpler option: right click on the element holding your query and select “Go to schema” from the “Search” sub menu. RPE will focus the appropriate data source schema in the Schema View and ensure the query is expanded and visible in the schema tree. One of the first actions a template designer has to take when starting a new template is to add the schema of the data source. The operation is simple as long as you have the URL of the schema readily available as manually entering the URLs is not an option in most cases. For this reason I used to keep a text file on my desktop with all the URLs of the schemas that I needed for test&support activities. 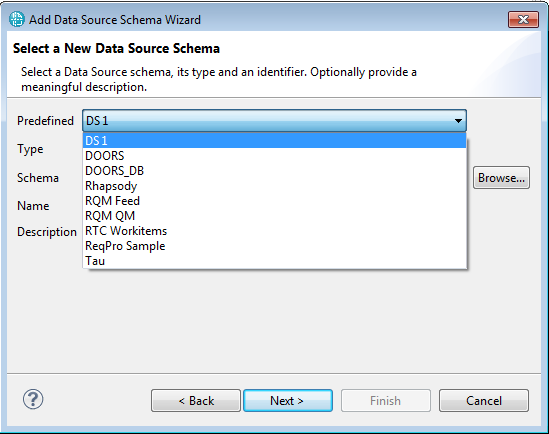 RPE 1.3 offers a better solution with the predefined data source schemas.